The Cosmic Dead - Eccie Bam Yas, E? Home / The Cosmic Dead - Eccie Bam Yas, E? Eccie Bam Yas, E? began life as a more meditative piece than the rocket fuelled out rock the band are more associated with. Spliced and reformed by the band, taken from jams and improvised sets taken from the Rainbowhead recordings in Kyle of Lochalsh, a small village in the North of Scotland near the Isle of Skye. In this remote setting the band recorded a myriad of improvised pieces inspired by their rural surroundings and the material has been scattered across three albums. 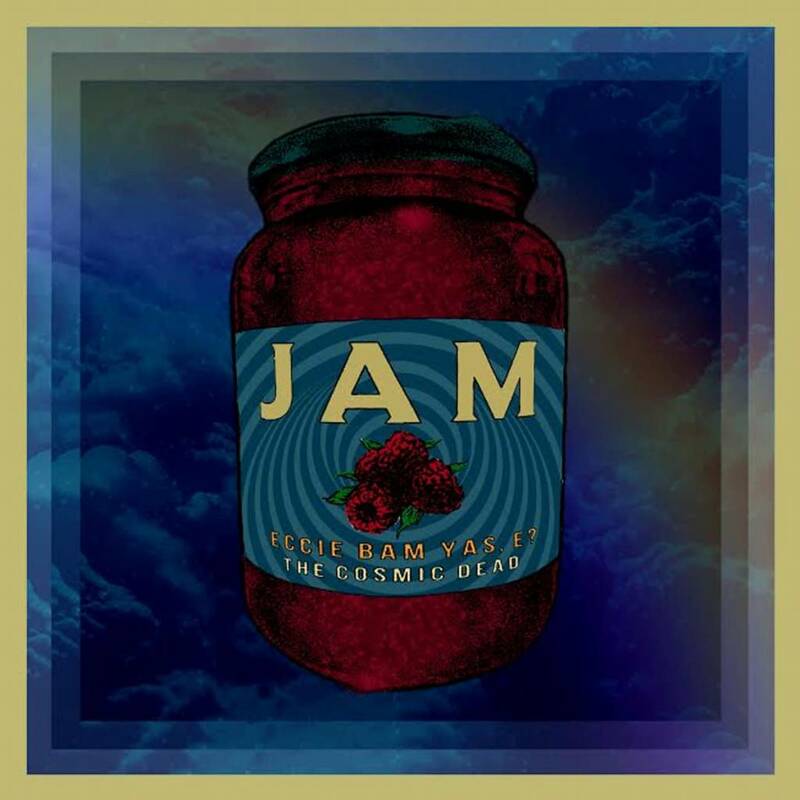 A companion piece to Rainbowhead, this was originally released as a tour only CD in 2015, then as an exclusive download only version with Jam jar, by Monorail in 2016. It was finally released on Vinyl in May 2017 as the first release on the brand new Monorail Records label!